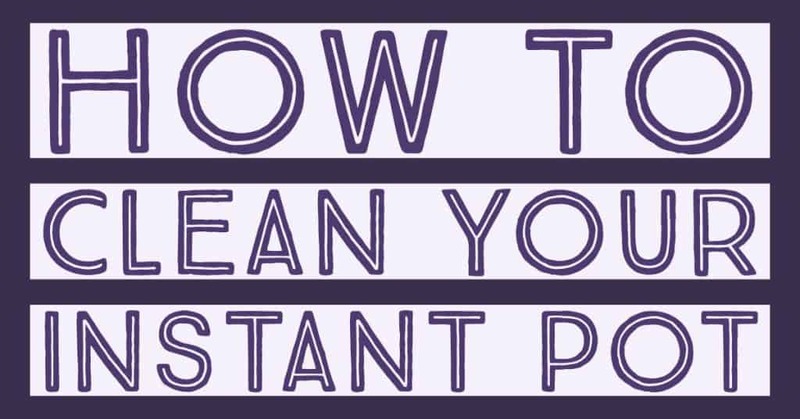 Ever wonder How to clean your instant pot? I use my Instant Pot a lot. I make Instant Pot Hard Boiled Eggs weekly. We love Instant Pot Corn on the cob and who doesn’t like a gooey batch of Instant Pot Macaroni and Cheese! If you are anything like me, I am sure you have cooked and noticed the smell of the previous item you cooked or added residue to your bowl. If you have ever wondered if there was an easy way to clean your instant pot, then you’ve come to the right place. It is very easy to do and I would recommend depending on your usage, at least once a week. 1. 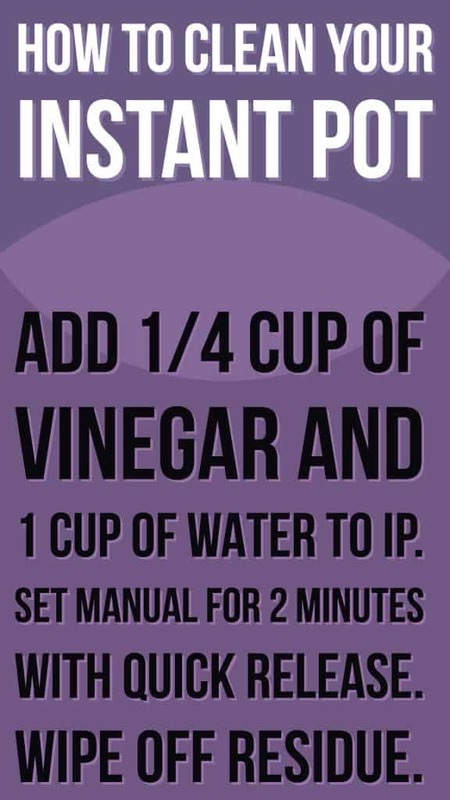 Add 1/4 cup of vinegar and 1 cup of water to the bottom of your IP. 2. Use Manual for 2 minutes with quick release. 3. Immediately wipe down any stuck food or residue. 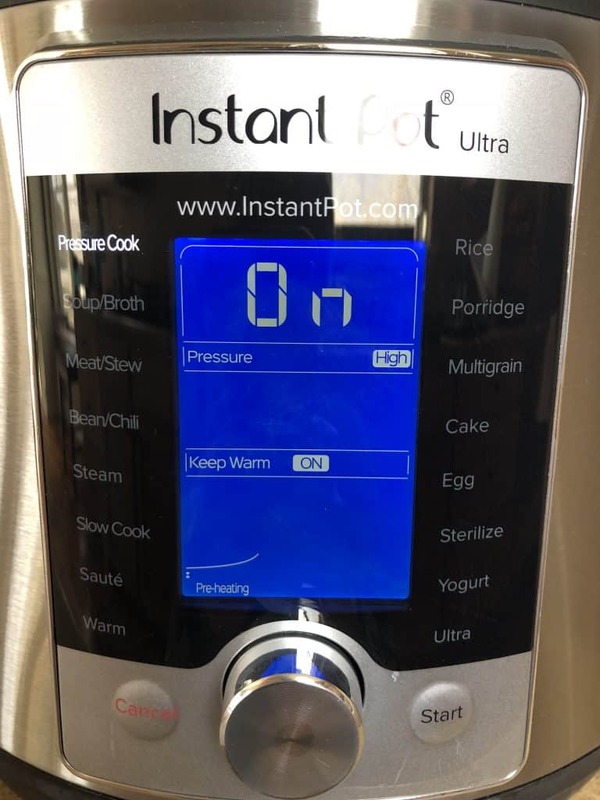 This is a great trick anytime you feel your instant pot needs an extra clean or it starts to smell. I tend to clean it more often so I know that there is no extra residue when I am cooking a new food.